Great news! 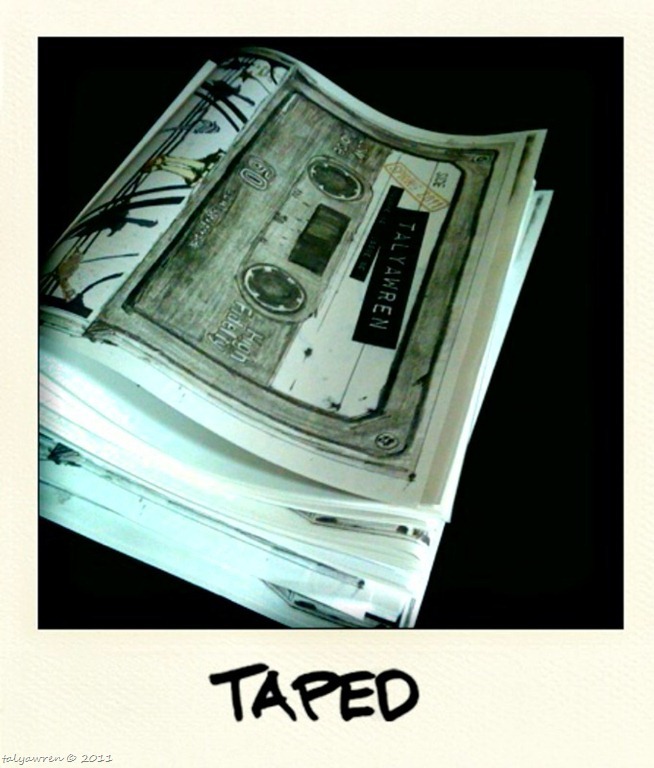 The zines are all folded and taped! The not-so-good news: the zine didn’t go out today. N and L carved stamps today. 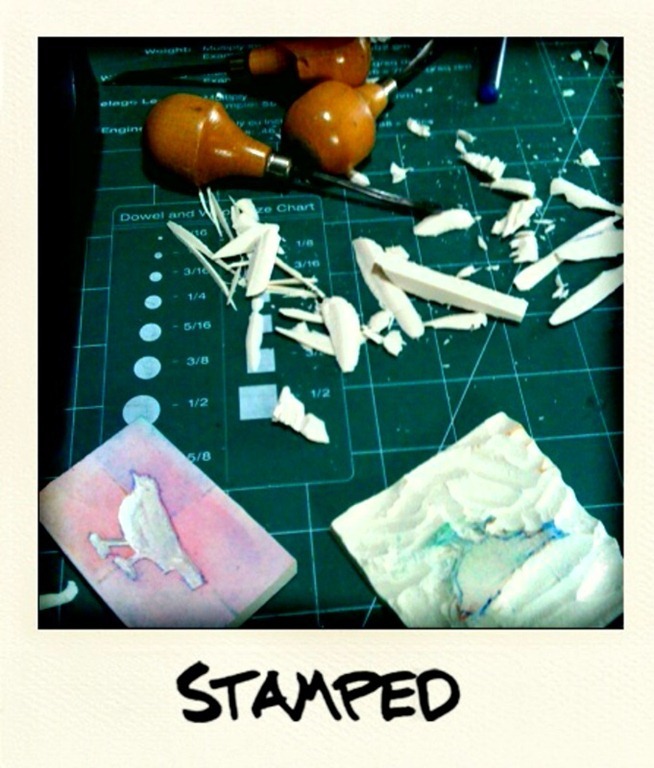 N thought a negative of the bird would be good, so we made two stamps. We figured stamps would be an easy way to mark the envelope without embossing tools or figuring out the printer. Now to figure out how to revive the stamp pads. 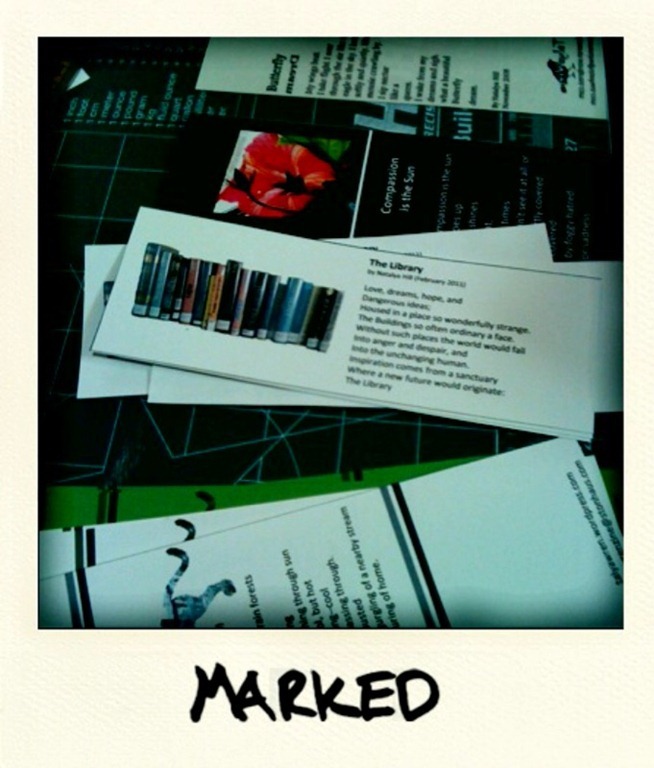 N put the bookmarks we designed into the zines. It was like Valentine’s the other day, her going down the mailing list deliberating who would get which one of the 4 bookmarks. Then, because they were learning marketing techniques at school recently, and we talked about viral campaigns quite extensively at dinner the other night, N was plotting where we could leave the extra bookmarks. We may have to print more. We thought about the weather and the mail slots, of water and bending and folding and jamming. 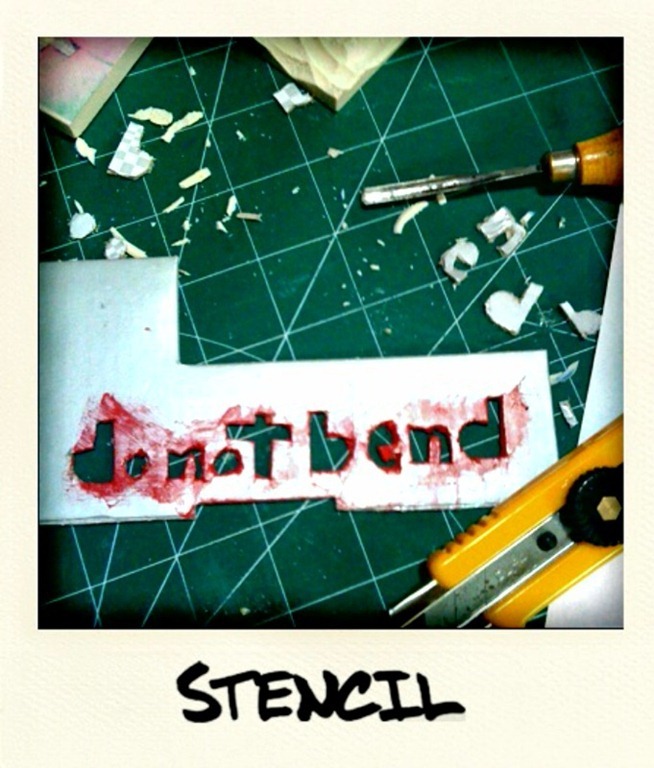 It was decided, “do not bend” should be clearly marked on the envelope. We may add “best avoid liquids, too.” Stencils were an idea and using cardboard out of the recycle, we found the carving to be a bear and it too thick to easily brush paint over. Little wonder stencils are usually those flimsy plasticky things. We’ll either try again with thinner, yet sturdy, material or hand-write. N suggested tape (“you know, print out thin printed strips and tape it on”) and L balked—apparently her allergies are no longer limited to Fall and Spring. We’ve a few days to make sure everything is lovely and in place. Eager to get this into our contributor’s hands!